Sometimes, there’s a need of that little extra cash for that holiday you have been waiting for or to tide you over for a short period of time. But, which loan would serve your interest best? Can it be less complex? Yes! Using the LoanStreet service could help you cut down a lot of brainwork or calculations to do! 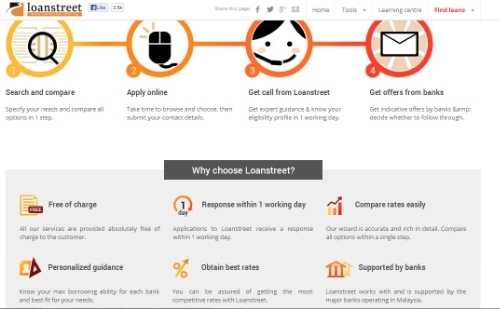 LoanStreet is free of charge and they offers personalised guidance service on top of the other plus points! It was great to have a short interview session with the Founder and a Pioneer Employee from LoanStreet to peek into their ‘Behind the Scenes’! 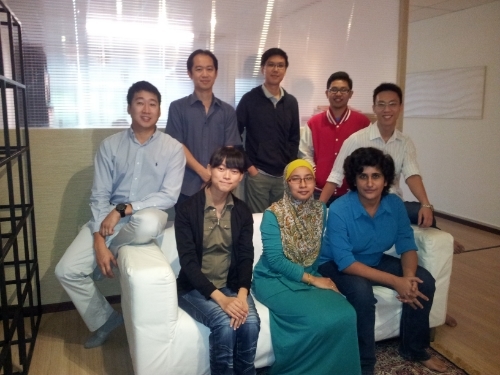 Interview Dialogue with LoanStreet’s Founder, Mr Jared Lim and Pioneer Employee, Mr Chuan. I wanted a stable team that could with the company and as there was money constrained, had to be realistic about attracting go-getter socially mobile type talent who could hit the ground running. Over the period, I had interviewed many to find those who might have been overlooked/undervalued by others, but had inherent and unrealised potential which could be honed over-time. I also looked for attitude and people with a capacity to learn, with minor focus on aptitude. Their existing baseline competency was less important. I chose to be very honest and transparent about our chances and remuneration. Generally, let them know that we want to help them achieve to their full potential. Maybe it helped if people could sense that and was willing to give it a go. There were a few challenges faced. The initial thinking was that co-founders would be working partners and will power through until we became self-sustaining. It did not happen and was left in the lurch very suddenly. So we went ahead to hire without much in the bank. Initially, we had trouble hiring and it was tough on me since operations has stated. Our first hire did not report to work and we had to go through another round of interviews. Next, waiting another month was arduous. We were not able to match most of the salary requests of the interviewees too. The pioneer employees’ roles did not differ much from what was envisioned. And lucky for us, we planned an evolving capacity for their roles as I knew their roles would have to change as the company went through different stages. To their credit, they adapted well even thrived, mostly through their own efforts. If you look for unpolished diamonds in the rough, you may just be surprised. Also, do coach and get involved in their personal development. Remember to be genuine in all your dealings. Up front, let potential employees and team members know what they are getting into even though you may not feel great about it. As long as you’re not out to raw deal others to achieve your own goals but are forced to work within constraints, I think people can sense that and will not fault you for it. Lastly, respect that people may not always have the same objectives as you. But where there is a common ground, build on it. And next we move on to the Pioneer Employee of LoanStreet, Mr Chuan whom is in-charge of Operations. 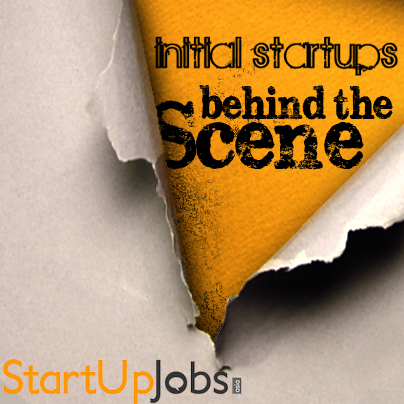 1) What makes you join a Startup in full-time employment? To achieve personal learning goals pertaining to my long-term planning and I felt that with the flexible working environment, there are more chances to perform better. It is also because of self-improvement and challenges to oneself with new environment and new stuff. 2)Being one of the pioneer team members, what are the kinds of initial challenges faced? Everything has to start building from scratch and always have to be far-sighted and ready to face any unforeseen circumstances, the need to be able to adapt is crucial. Consistency with high level of accuracy to the completion skill task set and product knowledge is a must! 3)Has your role differ from when you first join? If yes, please elaborate. Yes. As the team has been built up throughout the time, the challenges also differ from what was faced during the initial period. Basic role is still the same, just that the responsibilities, tasks and challenges changes with time. Moreover, being one of the pioneer team members, we are responsible to handle all kind of job role from time to time. 4)Challenges are inevitable in a startup environment. Prior to join LoanStreet, are you ready for these challenges? Or did you know what you might have to face? Yes, I was ready and willing to accept any challenges. I consider myself to belong to those category of accepting challenges in order to become stronger and for self-improvement. In life, if you fail to prepare. You are preparing to fail.